Richard Beadon (1737-1824), Bishop of Bath and Wells. Sitter in 3 portraits. Maria (née Walpole), Duchess of Gloucester and Edinburgh (baptised 1736-1807), Wife of 1st Duke of Gloucester. Sitter associated with 18 portraits. 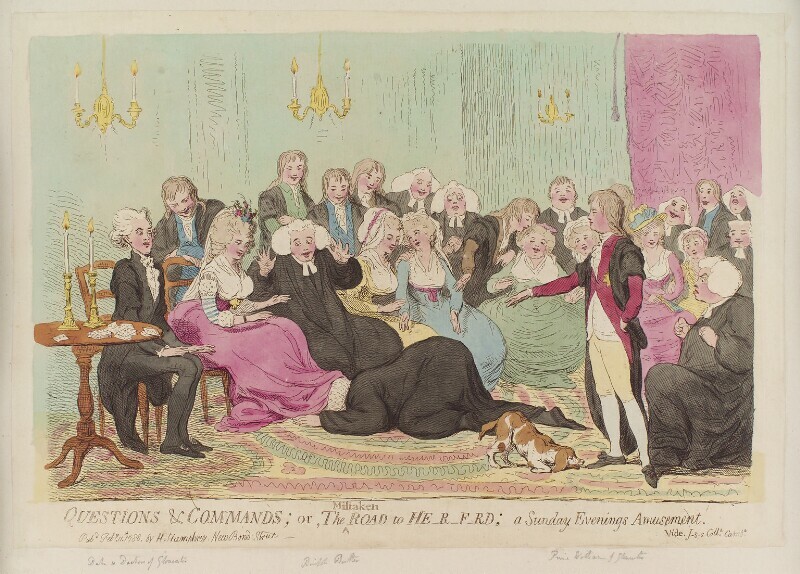 Dear National Portrait Galley, Please tell me how I can find out what YOU know about this Gillray cartoon. In what way is Richard Beadon involved. Is he the cleric peering under the lady's dress or the one with his hands raised. What exactly was the event in or on the way to Hereford that the cartoon satirising?